Don’t check your phone for every SMS notification! 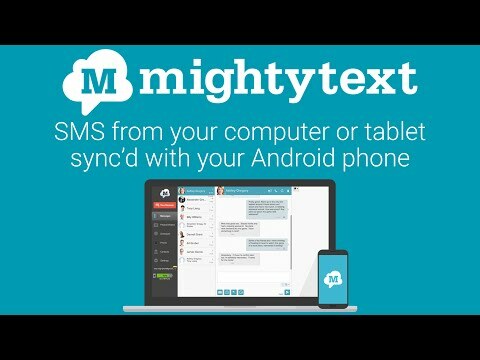 See who’s texting you from your PC or Tablet without having to look at your phone’s messaging app. Manage your texts, picture messages (MMS) & see Caller ID of incoming phone calls without looking at your phone. Turn off incoming SMS notifications during presentations. Text meeting updates before leaving your desk. Text online while in class “taking notes” on your laptop. Many college students have called it “iMessage for Android”. Block text messages from unwanted numbers! Ring your phone remotely, even if your notification sound is off by letting your trusted friends/family text a special keyword.